Would you like to hear extra interesting “stuff” about dragonflies? Their eggs hatch into the larvae and molt 15 times compared to only 1 time of the butterfly. While in the molting process, they’re often referred to as nymphs which are mythological spirits of nature imagined as beautiful maidens who spend most of their lives in rivers, woods and other places. Some dragonflies live for one to two years as larvae nymphs before they emerge as adult flyers for only six months or less. Most don’t die of old age because they are caught by predators. Aren’t we lucky when we do spot one as an adult flyer? In this form they have two pairs of large eyes with incredible vision and two pairs of transparent strong wings. Sometimes rainbow colored patches are displayed on both its wings as well as on its elongated body. The adult dragonfly can move at an amazing 45 miles an hour. It has the ability to move in all 6 directions: hover like a helicopter, fly backwards like a hummingbird, fly straight up, down and to either side. It accomplishes these movements the poise of a very elegant graceful ballet dancer. 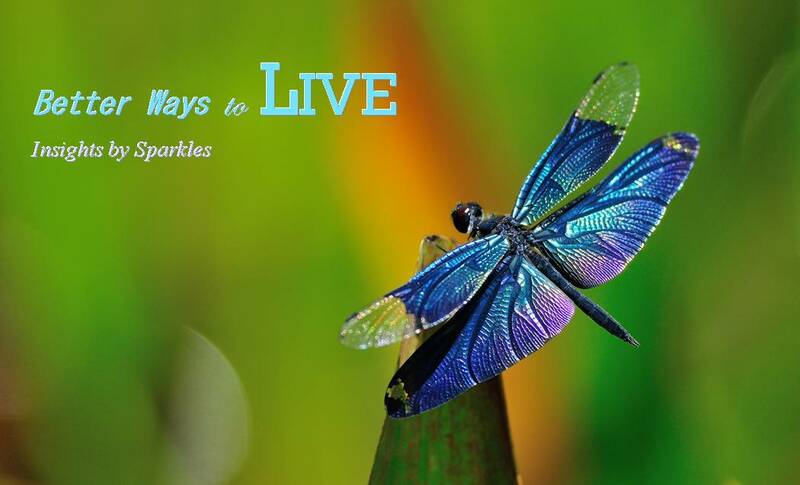 The mature dragonfly symbolizes change. With its magical transformation it proudly displays mental and emotional maturity. This style of life also exemplifies the virtue of “living in the present moment” and “living life to the fullest.” By living in the moment it is aware of who it is, where it is and what it is doing. Dragonflies, as a species of insects, have inhabited our planet for almost 300 million years. So it is only natural that they have such a wide and varied perception among various civilizations and have found fame all over the world. In Japan the Samurai uses it as a symbol of power, agility and best of all, victory. In China it stands for prosperity, harmony and is used as a good luck charm. Among Native Americans, it is a sign of happiness, speed and purity. It is “purity” because the dragonfly eats from the wind itself. In Sweden, folklore suggests dragonflies HELP BAD SOULS. No matter what age you may be, are you not in awe of this little nature spirit? The little flyer confirmed for me the importance of all stages in life. How can you use this symbolic perspective in your daily life?